Lorhainne Eckhart began her writing career five years ago. What inspired her to start writing was a lifelong love for stories. She read everything and naturally had the ability to create vivid characters, drawing on the experiences of friends, family and acquaintances around her. When her children started school she sat down to write her first novel. 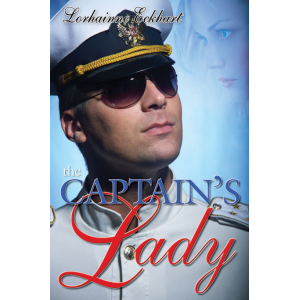 The story unfolded and four years later The Wild Rose Press published her first novel, The Captain's Lady. She continued to write during her search for publication and is currently at work on her third novel. Lorhainne has a passion for the outdoors, her extensive gardens and preserving nature. Lorhainne Eckhart and her family enjoy living in the peaceful countryside on Vancouver Island.